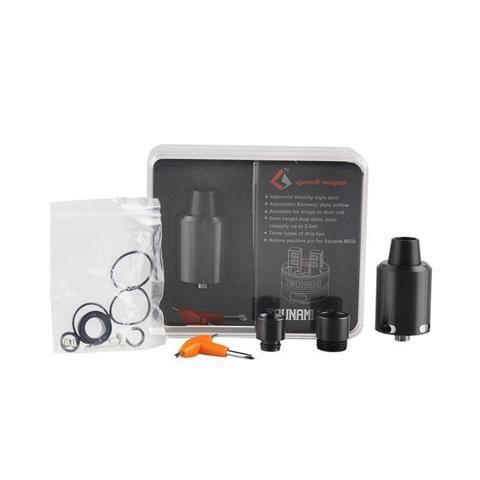 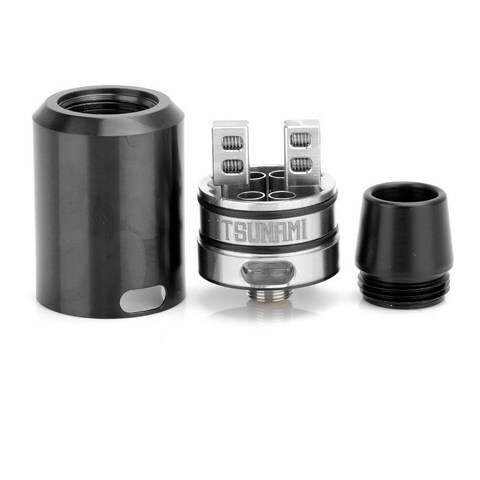 The Tsunami RDA is the latest creative two-post rebuildable atomizer from the innovative Geek Vape, featuring a conceptualized airflow style, spacious build chamber, rectangular post terminals with high-quality set screws, and 510 drip tip adapter to accommodate three included drip tip. 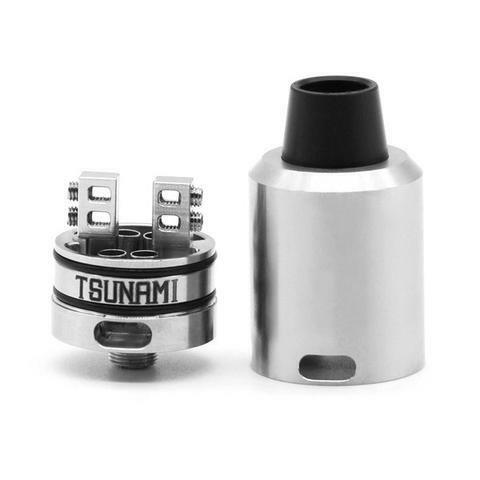 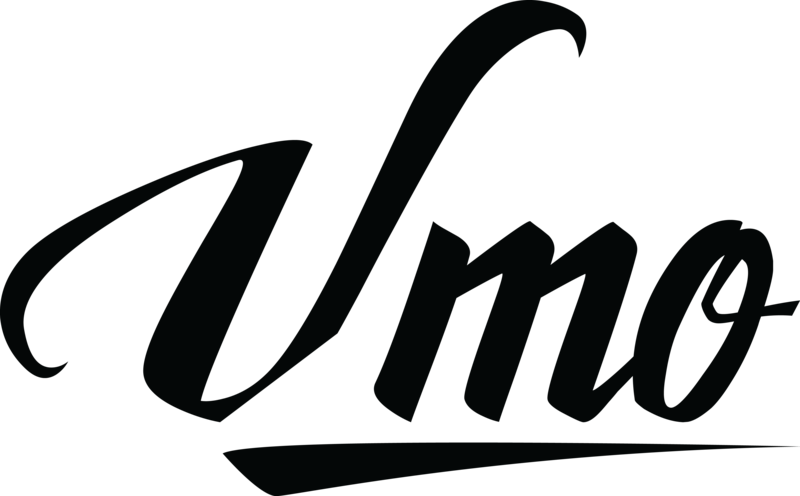 The Tsunami RDA features a progressive redesign of the most widely accepted build deck in the market, a two-post with the standard deckmilled negatives and positive post with USA-made PEEK insulator for single or dual coil builds. 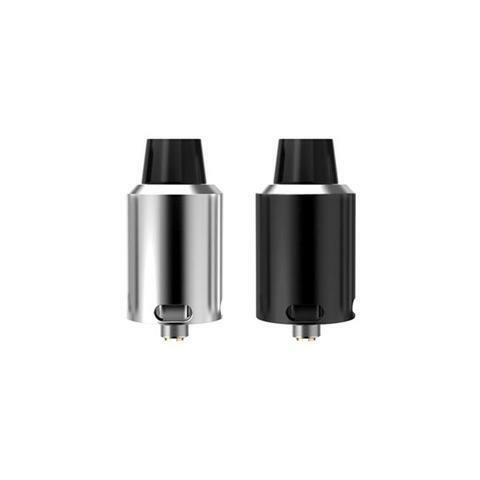 A dynamic change features a rectangular post terminals, compare to the traditional circle holes, measuring at 3mm by 2mm for spacious allowance of large coil structures and creates more possibilities for complex builds. 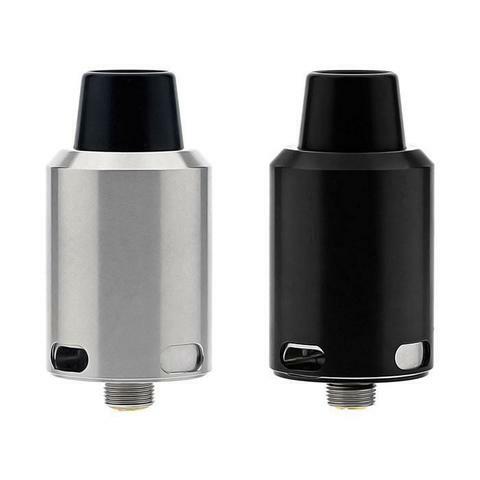 The Tsunami RDA can also provide tremendous airflow capability, implementing dual cyclops-inspired airslot measuring at 8mm by 3.5mm. 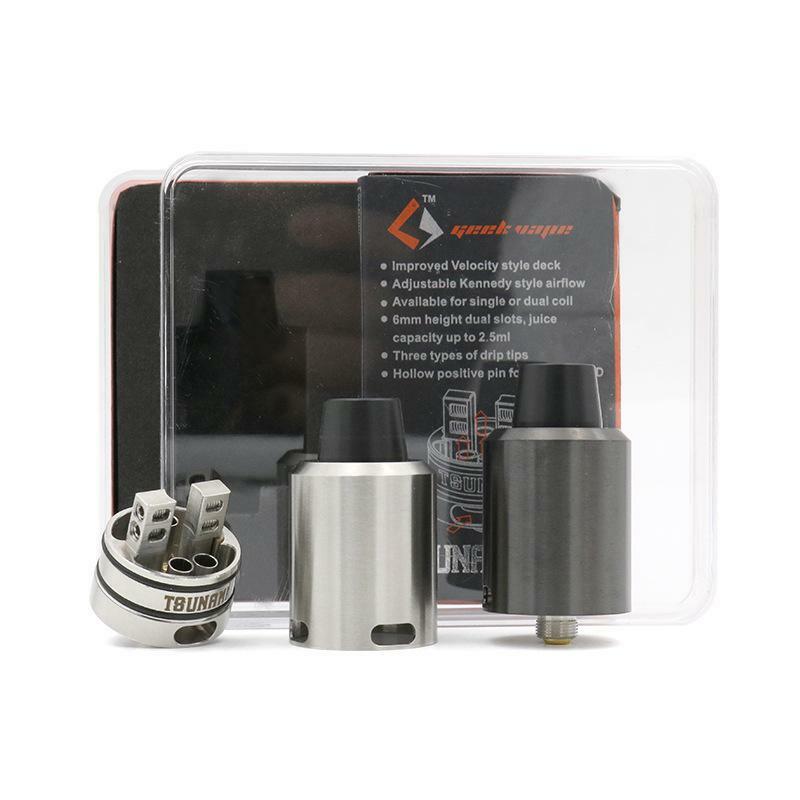 These dual slots feed a concentrated and direct airway path to the deck with quad airflow tubes inside the spacious chamber, for maximal air throttled while simultaneously doubling as an anti-spill mechanism. 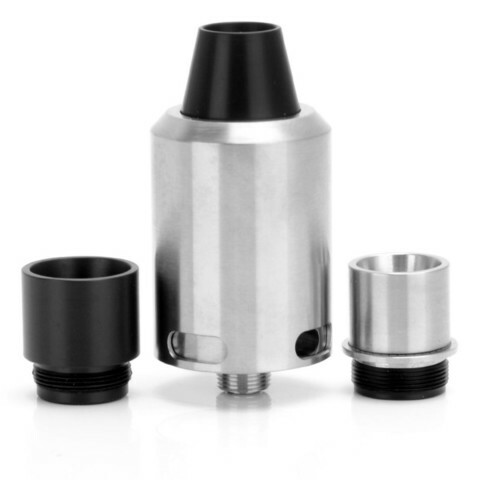 The Tsunami RDA includes a 510 drip tip adapter for a customized vaping experience, specifically caters to the three 10mm drip tips that comes in the package: wide-open Delrin widebore drip tip, diagonal Delrin widebore drip tip, and a stainless steel widebore drip tip. 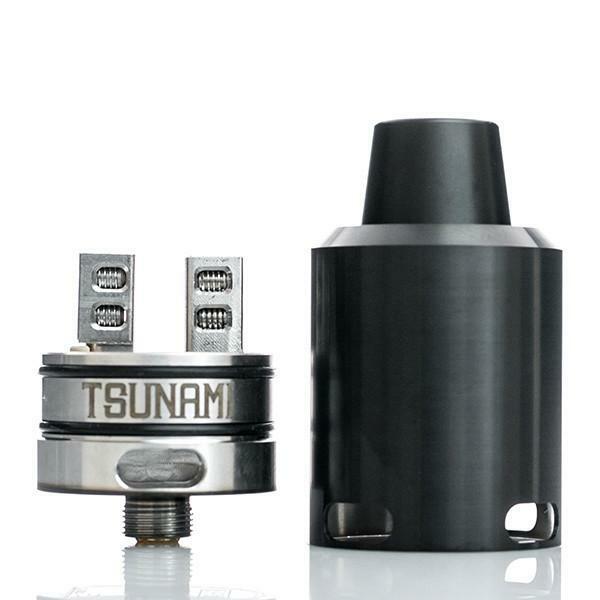 Build with practicality and a waves of high-performance features in mind, the Tsunami RDA is a must-have for building enthusiasts.